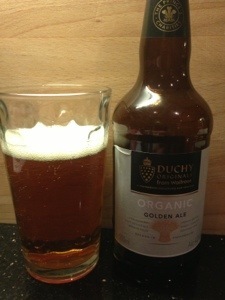 Some of the Duchy brand is very nice indeed. But this. Well, a bit bland. I got taste of citrus and some sort of biscuity taste. I also get some metaly taste, copper perhaps. It’s okay. But not great and I certainly wouldn’t pay the usual high Duchy prices. Shan’t be buying this again.